You will find SPARC useful for demonstrating your commitment to preparing your students for career and college success. The SPARC process is an opportunity for schools’ Student Support Teams to draw attention to the impact they are having on students’ career and college readiness. Schools can quickly and easily create and submit a SPARC and receive recognition for their work. Schools use SPARC to demonstrate commitment to making students career and college ready and to highlight students’ career and college readiness achievements in reports for school accreditation, grants, and award recognitions. All California K–Adult schools may submit a SPARC to the California Department of Education’s California Career Resource Network for review and recognition. Use your school’s account to submit your SPARC. If your school does not already have an account, create one using the Sign Up form. Schools intending to submit a SPARC should thoroughly go through the SPARC Instructions and use the SPARC Template and Submission Checklist. SPARC Instructions explain the requirements and include standards alignment information. Select the Instructions button above. IMPORTANT: A SPARC Template [DOCX] is included in the Instructions and will help writers meet the character count limits, spot typos and grammatical errors, and avoid any technical glitches which can occur when typing original content directly on the website. 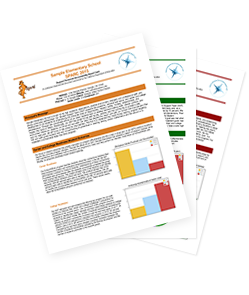 The SPARC Submission Checklist [PDF] is also included in the Instructions and will help ensure the writers are addressing all the required elements for every section of the SPARC. Incomplete SPARCs will not be reviewed. The Instructions page also has examples of completed SPARCs to show the type of content and details required. Schools are solely responsible for the accuracy, timeliness, and completeness of the information and data contained in their SPARC. The California Department of Education will review SPARCs for adherence to the content and formatting requirements as described on this website. Approval of participation is contingent on addressing all content and format requirements.